A uniquely talented, accurate and hilarious impersonator, Sharon Daniels does a "dead on Joan Rivers", to quote Oprah Winfrey. She has been performing as Joan Rivers since May of 1986 for corporate events, theaters and private parties. Sharon has appeared on national TV including "Oprah", was a finalist on Fox's "Thirty Seconds to Fame", appeared on "The Tonight Show", as well as other national and local TV spots, including years of experience as a voiceover artist. Sharon is a very versatile entertainer with a successful novelty act which includes comedy, a multitude of impressions besides Joan Rivers...including Fran Drescher, Barbra Streisand, Edith Bunker, Sharon Osbourne, Carol Channing (to name just a few) as well as singing in her act. Sharon received the "Cloney Award" twice in Las Vegas for "Best Female Celebrity Impressionist", as well as winning the "Sybil Award" two years in a row in Orlando for "most personalities". Sharon won the trophy for "Funniest Female 2011" at the Sunburst Convention of Celebrity Impersonators and Tribute Artists in Orlando. 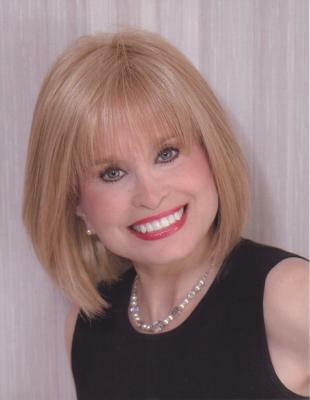 On Sept. 8, 2012, Sharon was awarded the Tribute Industry's highest honor: "The Bea Fogelman Award of Excellence" presented to her at the Celebrity Impersonators's Convention in Orlando. Her days of performing go back to grade school as well as starring in "How to Be a Jewish Mother" at her High School during her senior year. She has performed in community theater and starred in such shows as Woody Allen's "Play it Again Sam". She has performed on stage right beside Oprah Winfrey on her show, as well as Regis Philbin in Fort Lauderdale at Baily Hall, where she won Regis' talent contest for her impressions, and thus a trip to New York. Sharon performed with Sherman Hemsley of "The Jeffersons" during her comedy show, while on a tour with him as his opening act. She has opened for many famous personalities including Hal Linden and Jerry Vale. She also won a Joan Rivers contest and was flown to New York when Joan was doing her daytime talk show. She was invited to perform on a regular basis in L.A.'s famous "Comedy Store" when Mitzi Shore, the owner, saw her perform in a showcase there. 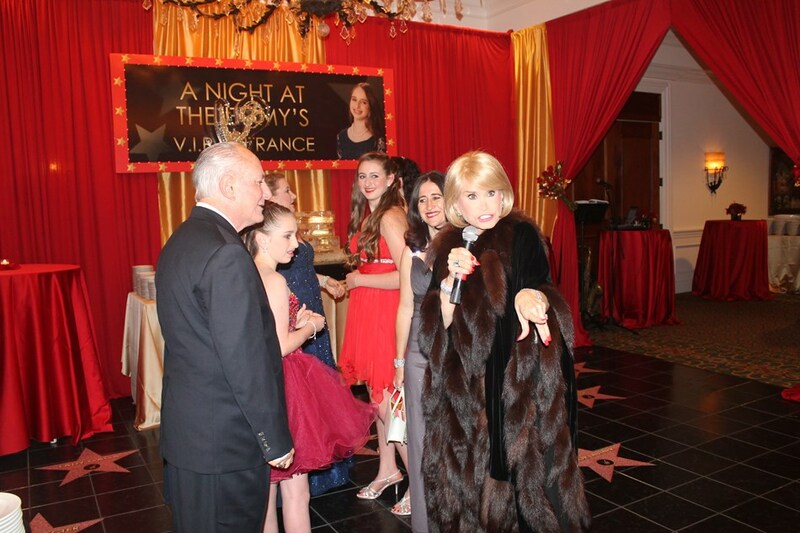 Let Sharon get your special event off to a laughing start with her hilarious and sophisticated "Joan Rivers on the Red Carpet". "Can we talk?" "Who are you wearing?" "Perfect!" If you are throwing a surprise birthday party, anniversary, or other event, give Sharon all the "inside details" on your honoree and she can create clever, custom material that will make the night memorable and have your honoree feeling very special. She is a lyricist and has a way with words! Sharon might be new to Gigmasters, but she is not new to the biz! She was AMAZING! Her bit about my Mother/Family was phenomenal! It was obvious she took alot of time writing her material, after many detailed phone calls, she put everything together perfectly! Not only is she an amazing performer, but she's an incredible woman! Sharon is incredibly talented and professional. She really set the tone for the party. I will definitely use her again! She was well worth the money! If your looking for a superb impersonator...look no further! Please note Sharon Daniels will also travel to Pembroke Pines, Fort Lauderdale, Miramar, Opa Locka, Miami, Miami Gardens, Dania, Hallandale, Hialeah, North Lauderdale, Pompano Beach, Miami Springs, Coral Springs, Coconut Creek, Lighthouse Point, Miami Beach, Parkland, Coral Gables, Deerfield Beach, Boca Raton, Key Biscayne, Delray Beach, Boynton Beach, Princeton, Homestead, Leisure City, Lantana, Lake Worth, Greenacres City, Florida City.